ListAfterList.com offers highly desirable information on popular topics in a form factor you love – lists! That’s because we know that you’re busy and that every second counts, and we alson know that more often than not your are on a mobile device. So we designed our site to provide you great information in the most concise manner possible, all at the click of a finger. So go ahead: read, share, and enjoy! 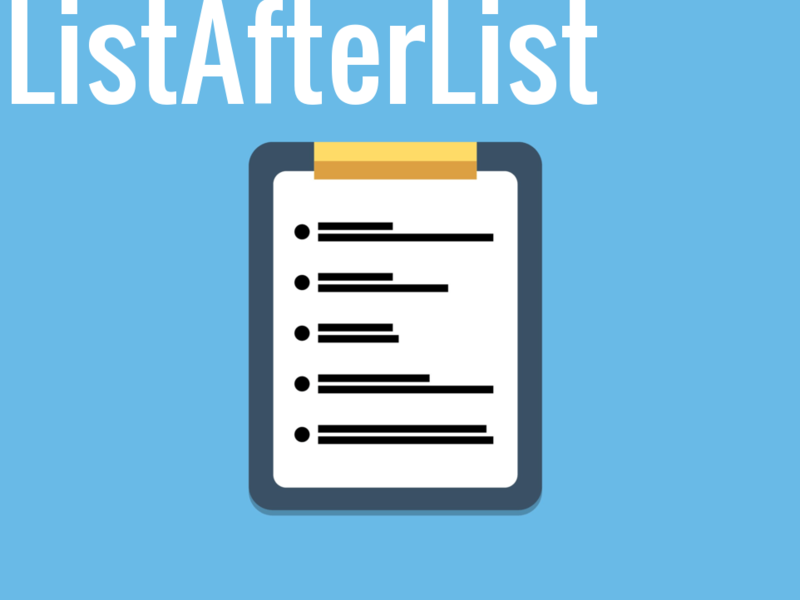 ListAfterList.com was created by four Internet-industry veterans who believed that a service pairing the proven attraction of lists with the wisdom and experiences of people just like you would make for a highly entertaining and useful destination for anyone online. Rick brings 35 years of entrepreneurial media, publishing, business development and electronic media startup experience to the effort. Rick has launched several successful new online ventures. A former CPA, Rick is currently an active consultant to media and publishing companies and is an alumnus of The Ohio State University. John brings almost 30 years of experience leading editorial, marketing and business development teams at companies like CompuServe, Netscape, and AOL/TW. A marketing and advertising consulting professional with Communica, John is also an active angel investor and an alumnus of The Ohio State University. Heather brings almost 30 years of experience working for CompuServe, Netscape, and America Online managing a variety of disciplines. Currently, Heather is a Director of Content and Business Development for OCLC. Ms. Carlisle is an alumnus of both Ohio University and The Ohio State University. David brings almost 35 years of technical experience in leading publishing technologies, digital imaging, and e-commerce initiatives like ours. He is currently the CTO at Nehemiah Security, and is an alumnus of the Rochester Institute of Technology, Rochester, NY. Ryan brings strong creative talents to ListAfterList.com as both a marketer and content creator, where he drives engagement and adoption through viral marketing. Ryan is currently VP of Marketing and Research at GradLeaders, and is an alumnus of the Ohio State University. A vetted product architect, investor, engineer and serial entrepreneur- Tim has built a variety of companies from the ground-up. He is Managing Partner at Emerald City Ventures investing in startup companies in the technology sector. He is an alumnus of Susquehanna University, UVA, and George Mason. Kelly helps ListAfterList.com stay on top of its game by implementing website SEO, content, and monetization elements designed to attract and engage interested users. Kelly is currently Sr. CRM Specialist – Loyalty and Credit Card for DSW and is alumnus of the Ohio State University.